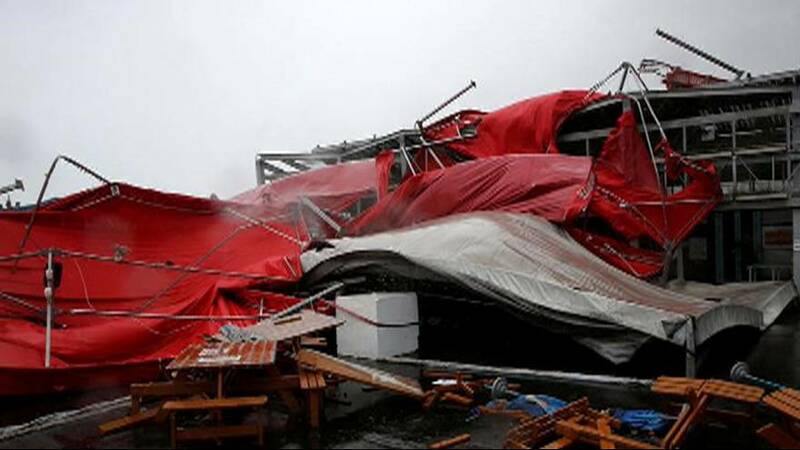 At least four people have died and 316 have been injured after a powerful typhoon hit north-eastern Taiwan. Almost three million homes were left without electricity in Yilan province. Thousands of people have been evacuated from their homes and are being housed in temporary shelters. have fallen in Yilan province. Winds have been recorded at 230 kilometres an hour. Typhoon Megi is the third storm system to hit Taiwan in the last two weeks..